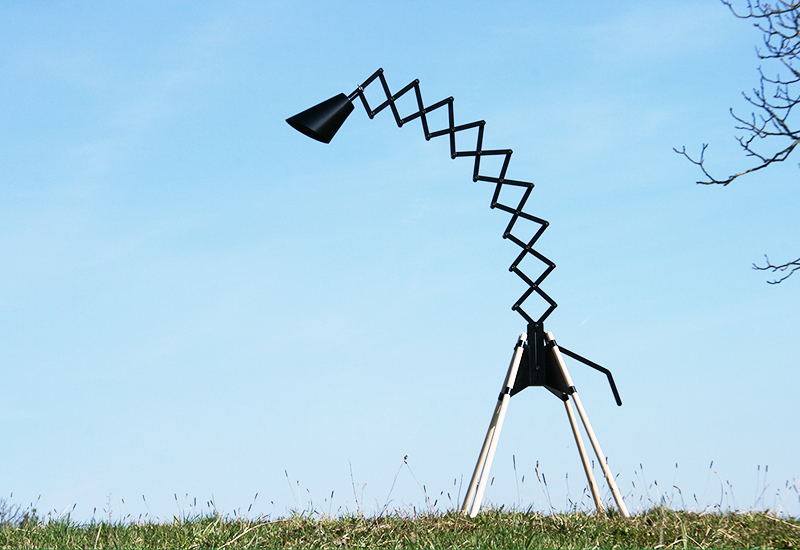 Design studio Bernhard Burkard about project: “The giraffe – Floor lamp was first shown during SaloneSatelitte 2013 in Milan furniture fair. 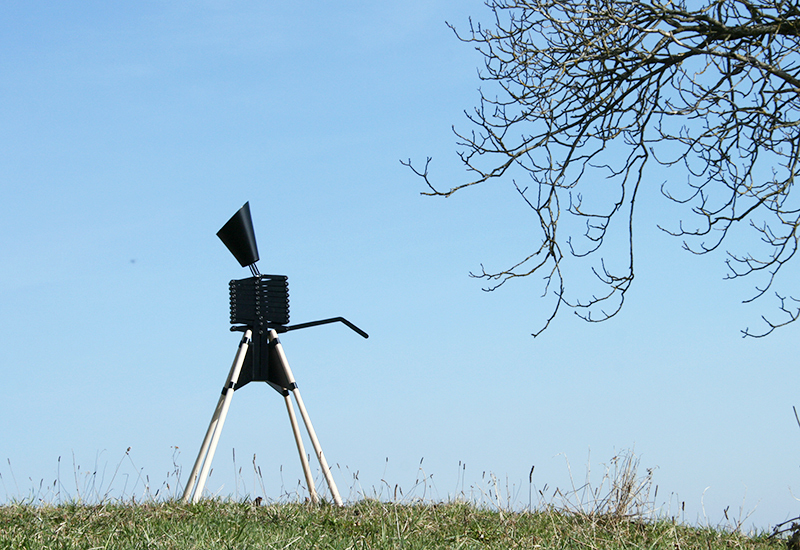 It follows both principle of functional and iconic design. 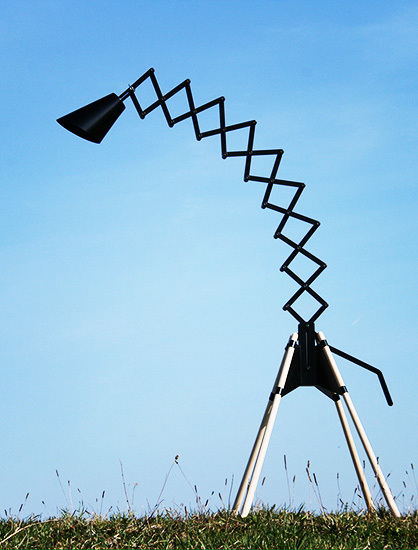 The lever of the lamp works by a system of scissors on a curved shape. 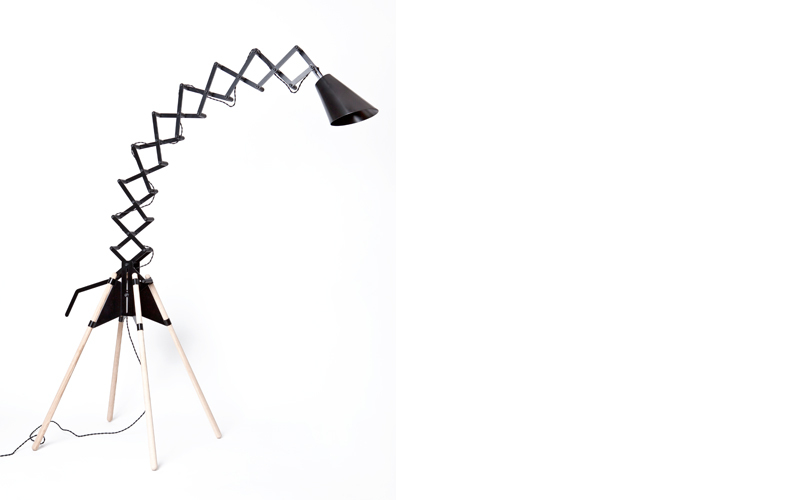 This technical innovation makes it flexible and very adaptable in any situation. 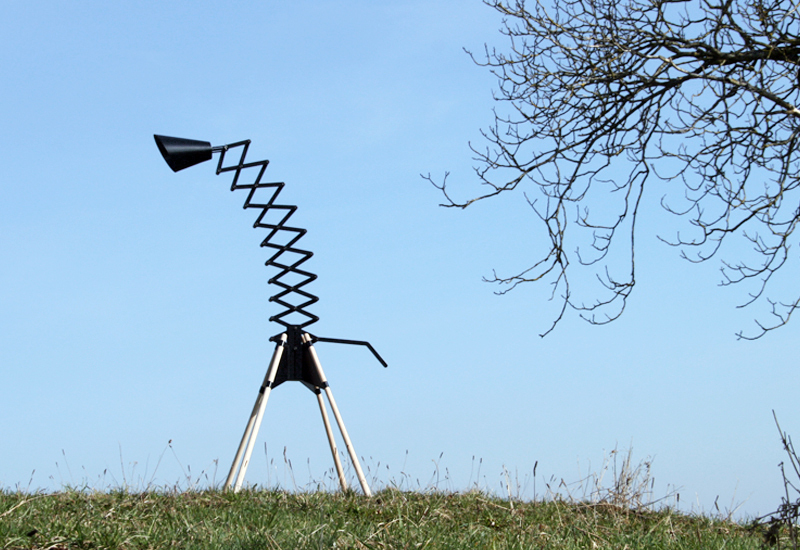 The combination of the functional parts made from metal with the wooden legs brings the design in unique field that combines technical and homelike aspects.